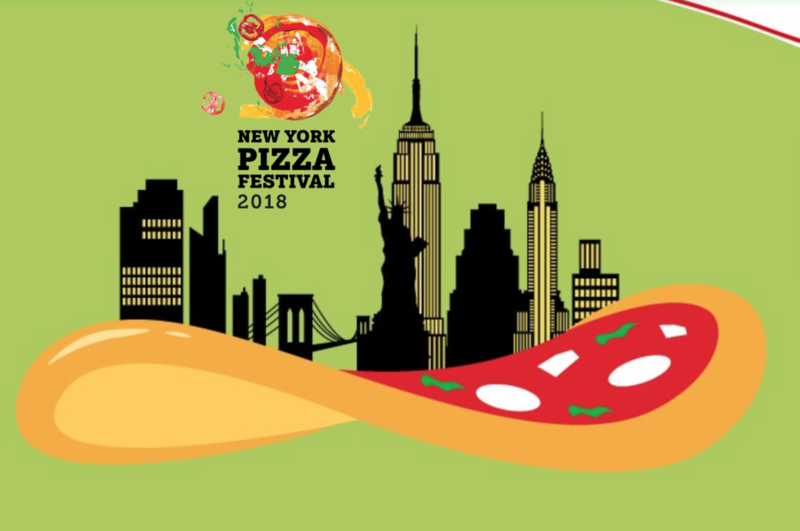 Hosted by the Belmont Business Improvement District and the Pizza Academy Foundation, the New York Pizza Festival will bring the most renowned PIZZAIOLI, from around the United States, including some of the best from New York and some of the best from Naples, Italy, onto one block, to celebrate their craft for the people who live in and around New York. Never until now was it possible to eat pizza made by the best of the best, all in one place, all at one time! From famed Tony Gemignani of San Francisco, Jonathan Goldsmith of Spacca Napoli in Chicago, to Roberto Caporuscio of Keste and Don Antonio and Gino Sorbillo of Sorbillo Napoli among many, many more super talented and sought out pizzaioli! The street will be lined with 30+ Pizzeria Stations. NO TICKETS NECESSARY TO ENTER. You will only need tickets if you want to EAT! There will be beverage stations for water and coffee, as well as an over 21 area for Beer and Wine. The best food companies in the business are helping to sponsor this wonderful event. From CAPUTO Flour and CIAO tomatoes to Belgioioso Cheese and Ferrarelle water. Come and ENJOY! We asked them to get us some anticipation about their presence at the NYC Pizza Festival. 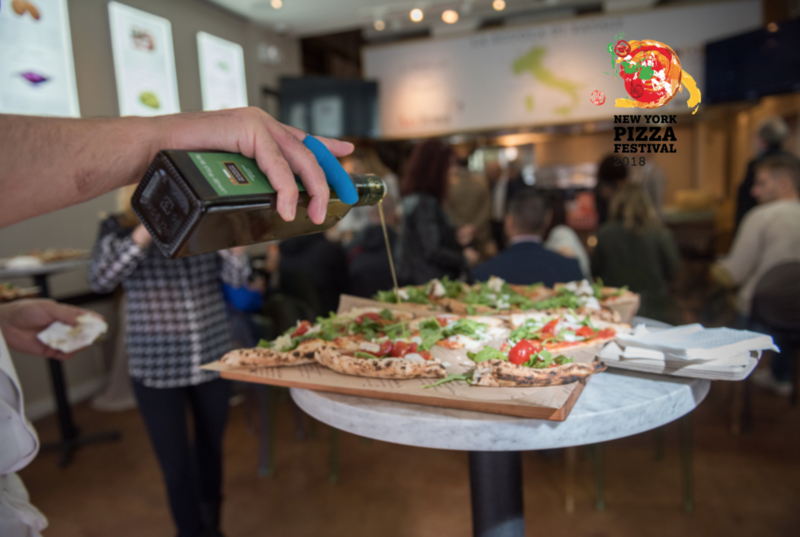 Before knowing some of the pizzas that will be protagonists, we had a chat with Claudio Sebillo, Naples Pizza Village brand manager, about the birth of the event and the landing in the USA. How and when was Naples Pizza Village born? 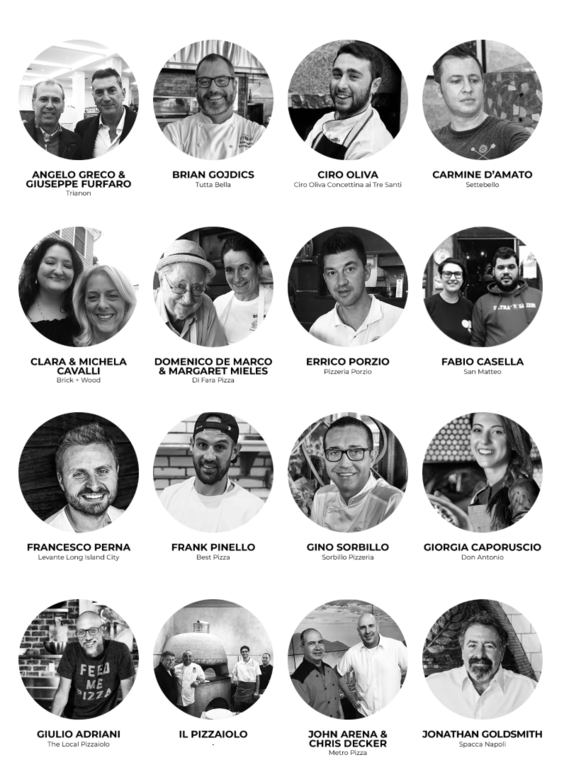 C.Sebillo: The Naples Pizza Village was founded in 2011 with the aim of creating a party that celebrated the main product of Neapolitan gastronomy but above all a product that was and is able to represent the city of Naples. We sought, through a national level event and, why not, also internationally, to revive the image of the city of Naples that in those years was at the lowest level due to the waste emergency. And this is how the Napoli Pizza Village project took shape: from the very beginning it has had the connotation of the great event, even though it was still small, and then grows with investments made year after year up to the eighth edition of this year (2018) that has seen us reach the million presences among Neapolitans, Italian tourists and many tourists from all over the world. The importance of Caputo, in addition to always being the title sponsor of the event, I would go further saying that he has always been the world supporter of Neapolitan pizza. It is from him that, over 30 years ago, the first promotions of Neapolitan pizza in the world started. I believe that he owes everything to the success of the Napoli Pizza Village and to the promotional activities we do together in Italy and the world. Starting from the success of this year the Naples Pizza Village moves for the first time New York. What does it mean reaching the USA and the Big Apple pizza capital for a weekend, of Columbus Day in the Little Italy of the Bronx. C.Sebillo: After 8 years, we can say that we have become a recognizable and recognized brand and this makes that we are mature for a path of internationalization that we have started and that sees for the first time making an appearance abroad in New York that will see us in the next months and years also in other European capitals. For us it is an important test, but above all we are in another pizza capital, so we feel this sense of responsibility in representing Neapolitan pizza. The Bronx remains that piece of Italy and piece of Naples, which now only survives there, and so we are proud and happy that it is this neighborhood that hosts the first edition of the event. And we know even the Bronx has been the subject of an important urban redevelopment and this pleases us, because it means that in this case as well as in Naples, we are helping to revive the attention in some neighborhoods as in this case also in New York. We’ve been to Rione Sanità of Naples from “Concettina Ai Tre Santi” asking to Ciro Oliva the importance, according to him, of the first edition of the NYC Pizza Festival and the pizza he decided to present for the occasion. Ciro Oliva: In this event the city of Naples becomes the protagonist and through this simple product, pizza, through the art of Neapolitan pizza makers we bring our family, our culture and our neighborhoods in Naples, and not, around the world. All these different ‘pinches’ pizza data in different techniques that then all come together for a single goal, to bring pizza around the world. And after having taught people from the East, America and Europe today we find that this product unites people. And from the small alleys of Naples we now meet together with Gino (Sorbillo) and the Salvo Brothers, just to name a few, to bring pizza around the world. All the art and elegance that our previous generations have taught us in all these years, and all our know-how we will bring it to New York to do it knows to people through our warmth that we can give through our product. I decided to bring a very simple pizza that was designed by the children of ‘Rione Sanità’ and has become a symbol of our pizzeria. One euro for each pizza sold will go to fund the San Gennaro Foundation that deals with numerous social projects and enhancement of the Health District. Simple ingredients: salami, provolone, tomato and tarallo. Paolo Pagnani: The success of Napoli Pizza Village is extraordinary. Even not having participated in this last edition for technical reasons, we have participated in several editions on the waterfront and we have seen this initiative growing year after year. This idea of ​​being able to export this event abroad, while still maintaining our Neapolitan nature obviously linked to the product we offer, makes this event a leading international event. We are talking about historic pizzerias that are moving for the first time, for an event, in New York, the land of Italian immigrants who have put their roots for several generations and who will find a ‘piece of their home’ finally on their territory. About the pizza that we will present, being the pizzeria Brandi, apart from pizza margherita we can not exempt ourselves from not offering these pizza which is both a symbol of our personal success and, of course, the ambassador of Naples in the world. Not only for the colors of the Italian flag that are represented by mozzarella, basil and tomato, but also because we are talking about a dish that is in the kitchens around the world, even with some transformation due to local taste. So it is even more important to make the product known as originally and to make it clear that culture is not just a thing of image but there is something related to the tradition of a people. Will surely be an event that will make us get in touch with so many people to pass this message. After we went to Salvatore Salvo, who with his brother Francesco are the Master Pizzaioli of Pizzeria Salvo, in San Giorgio a Cremano. S.Salvo: I think it is synonymous of the planetarity that the pizza world is having, especially starting from Naples. The pizza becomes more and more global and the Neapolitan Pizza plays a fundamental role because it is the one that counts to have the greatest tradition and therefore manages to have that importance for the city and precisely brings such an important testimony to New York. The Pizza we present is older than the margherita. We could probably date it in 1834 on the occasion of visiting the Tsar of Russia and his court in Naples. There are testimonies at the Royal Palace of Portici where the Tsar stayed and Neapolitan pizza is at the beginning with tomato and they added a ‘dusting’ of cheese as a symbol of Russia’s Snow and dedicated it to the Cossacks who were the tsar’s court. We propose it with products of our territory selected, in our style, with raw milk Pecorino from Bagnoli Irpino and Corbara tomato. 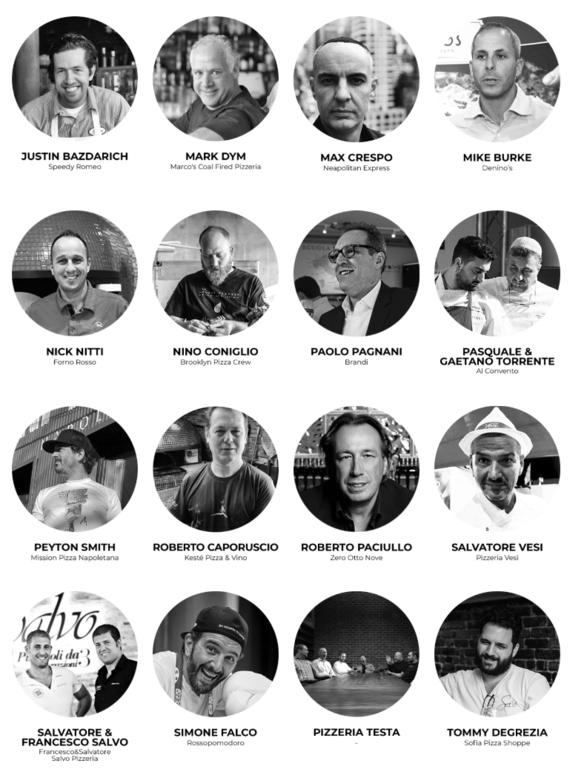 These are just some of the artists who will be at the NYC Pizza Festival. To find out who will be there visit us on Crescent Avenue in the Bronx, Saturday 6th and Sunday 7th October from 12pm to 6pm on Saturday and at 4pm on Sunday.